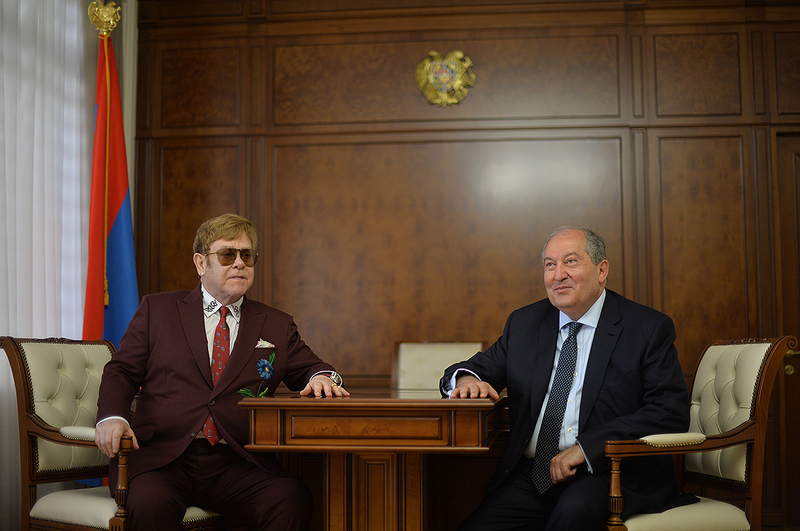 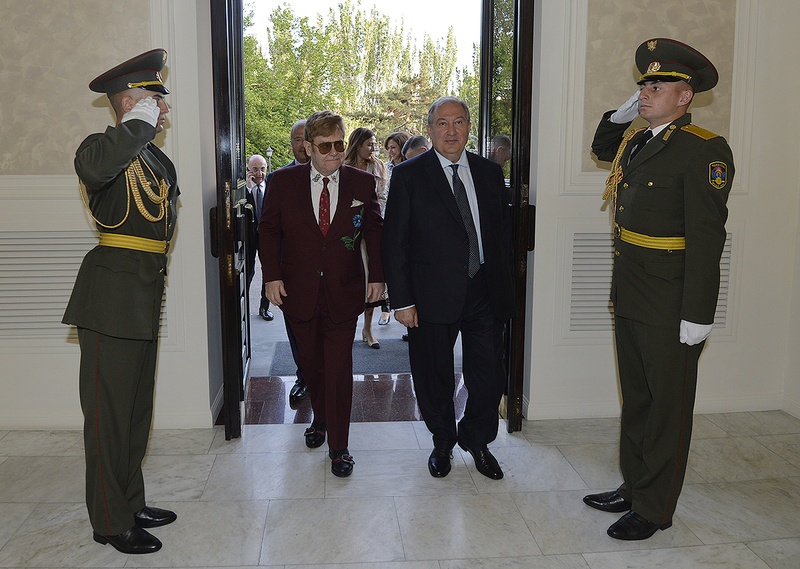 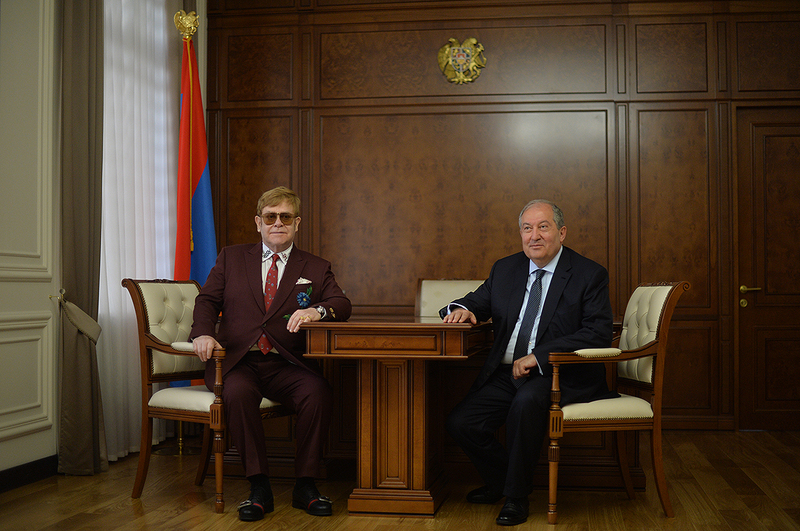 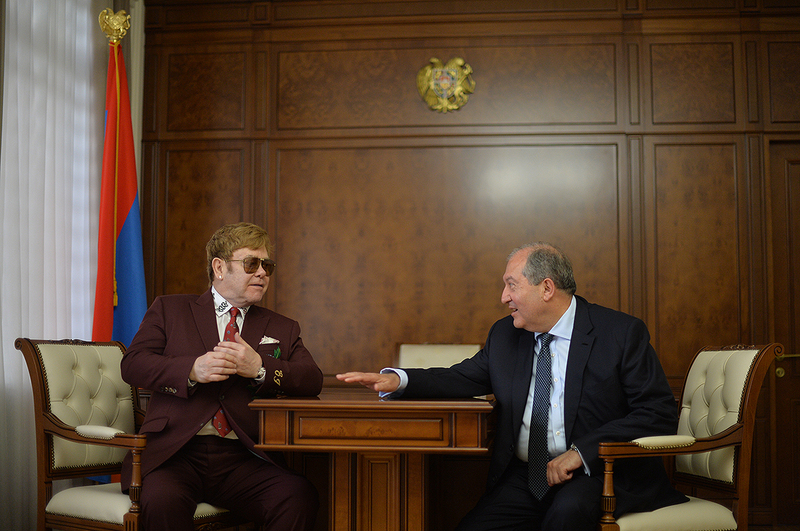 Today, at the Presidential Palace President Armen Sarkissian hosted the world-famous British singer, composer, and pianist Elton John. 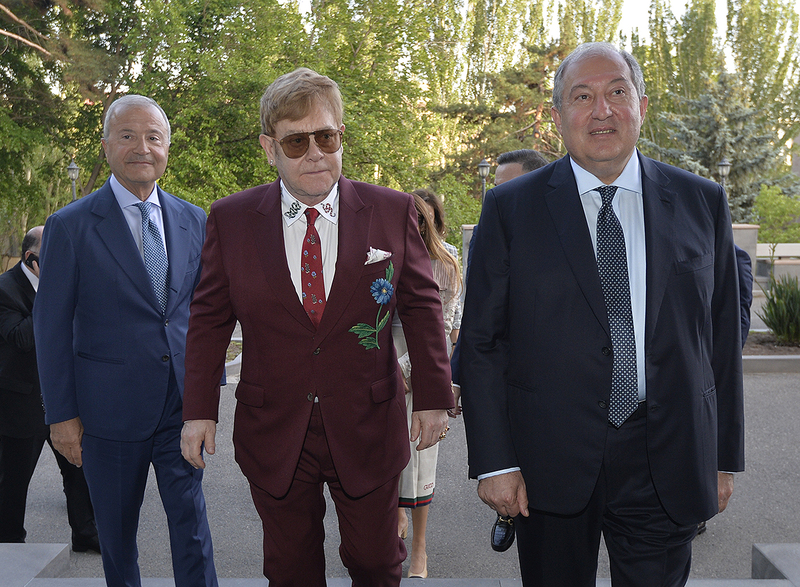 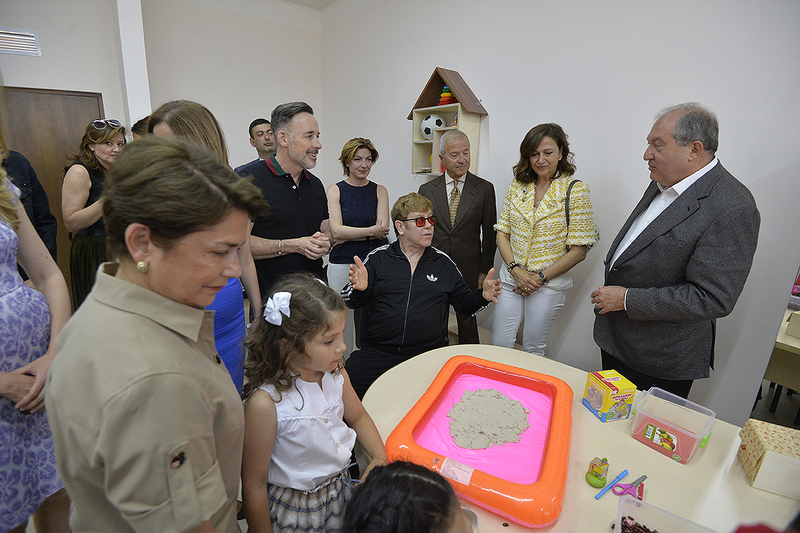 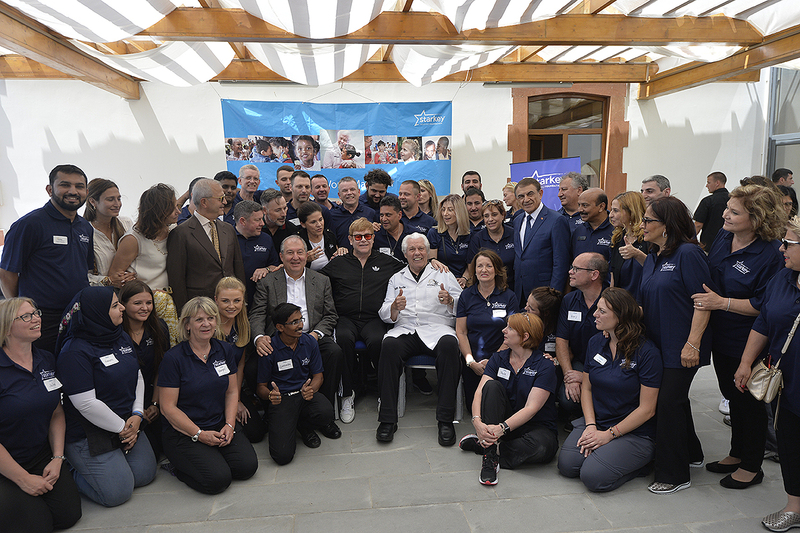 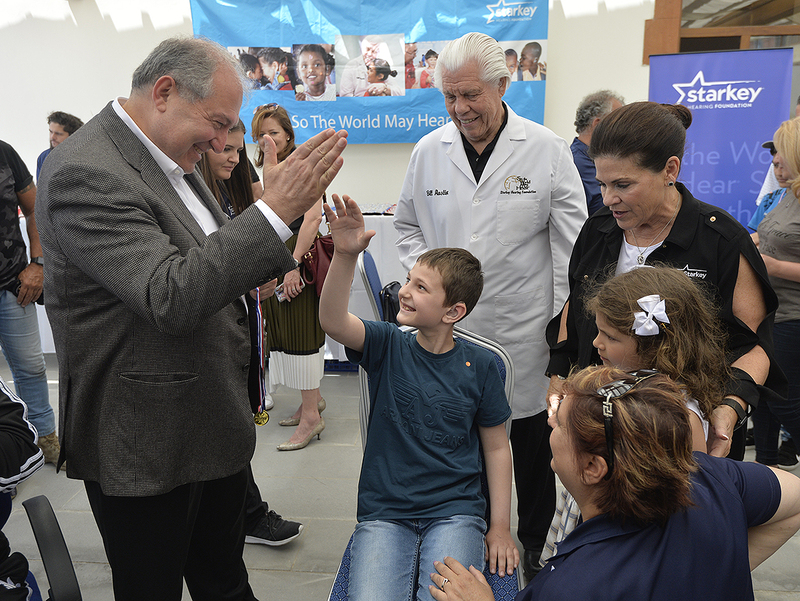 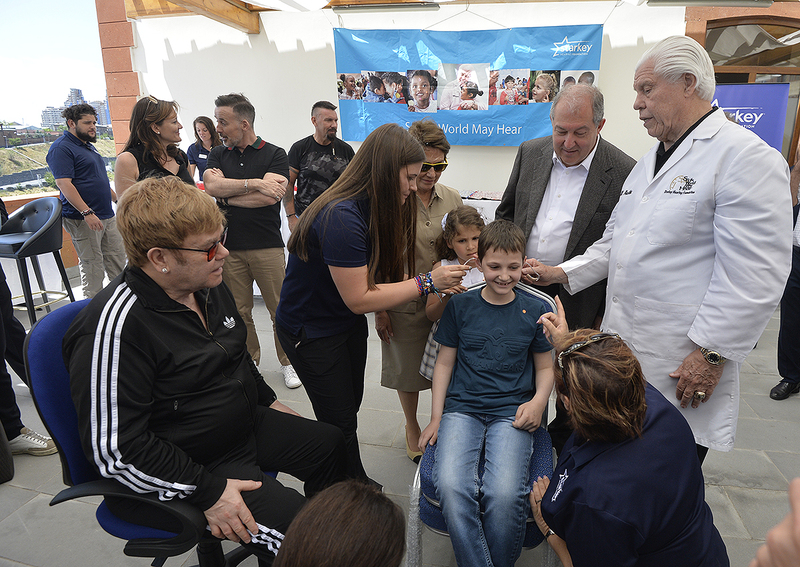 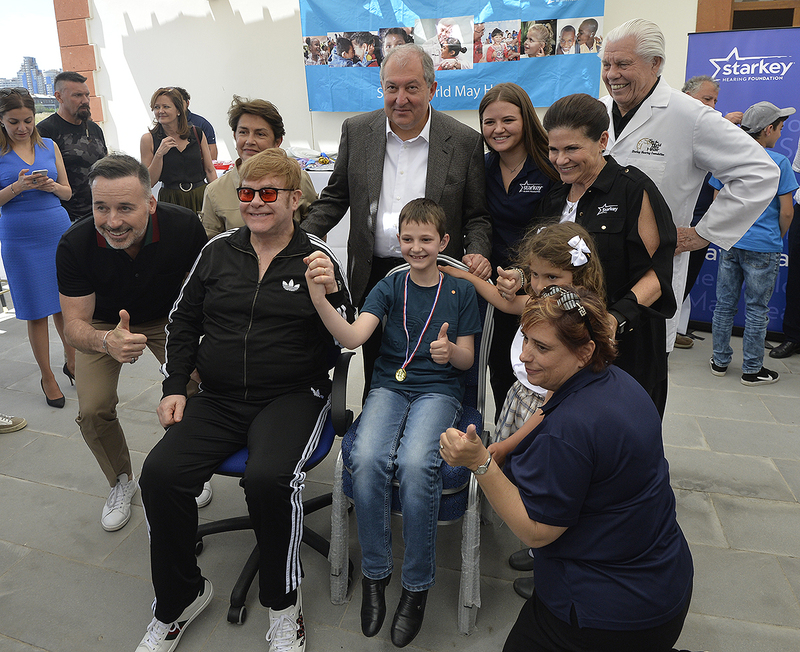 Together with the renowned British performer Elton John and founding director of Starkey Hearing Technologies William Austin at “Yerevan, My Love” Foundation Armen Sarkissian participated at the event for the children with health problems. 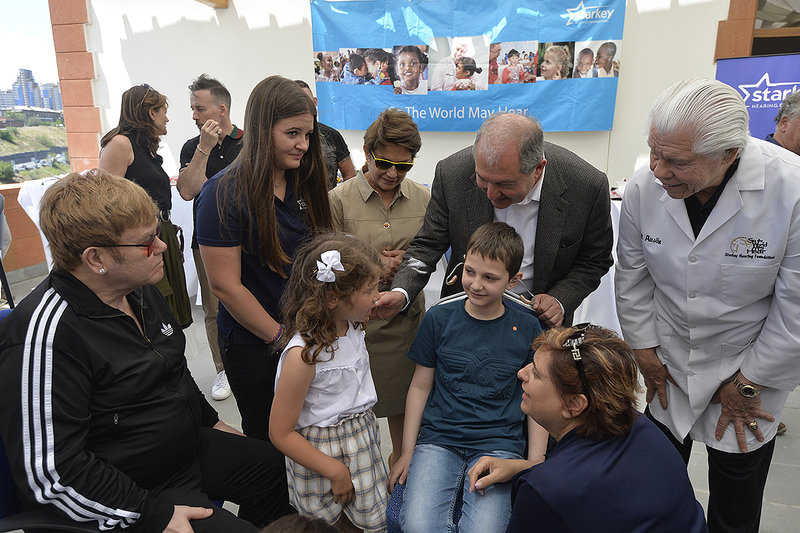 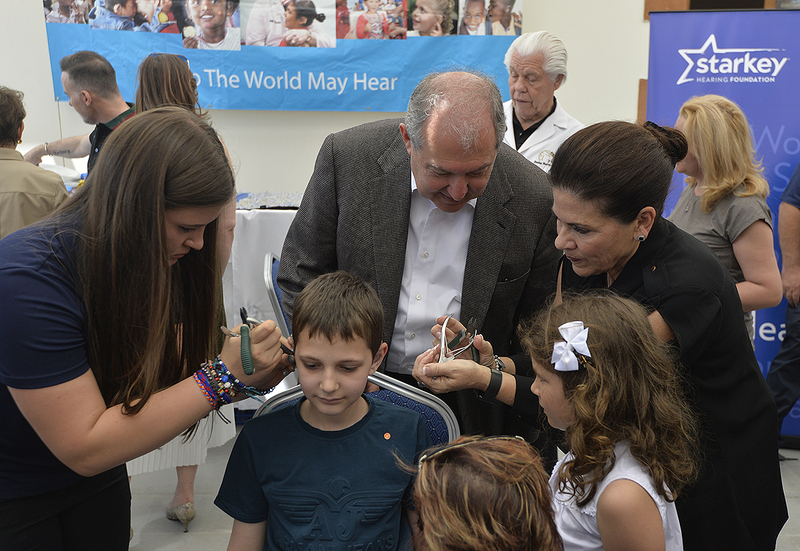 At the Hayk and Elsa Titizian Children’s Rehabilitation Center of the “Yerevan, My Love” Foundation one hundred children from different regions of Armenia and Artsakh, who have hearing problems, were presented with hearing devices. 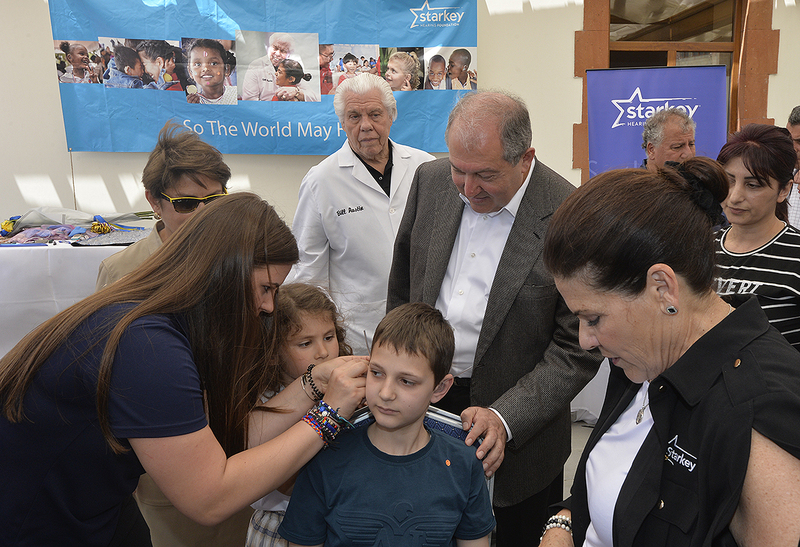 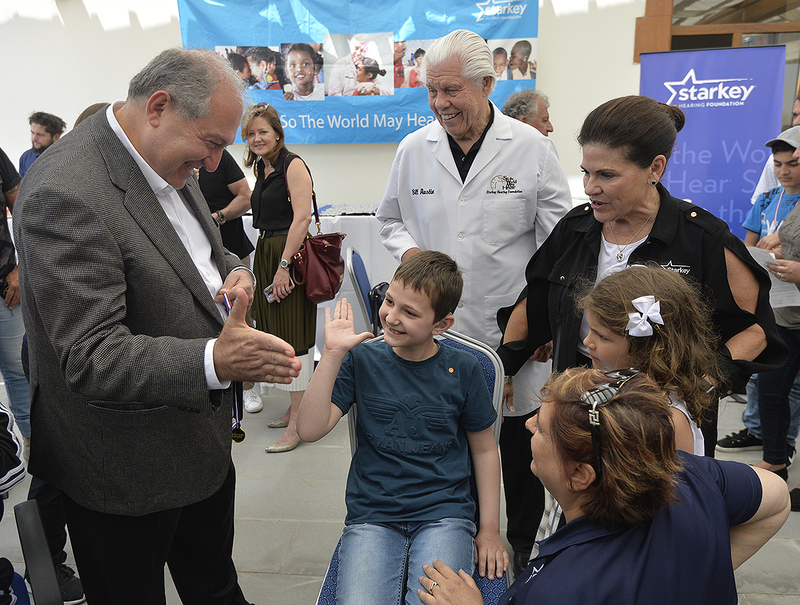 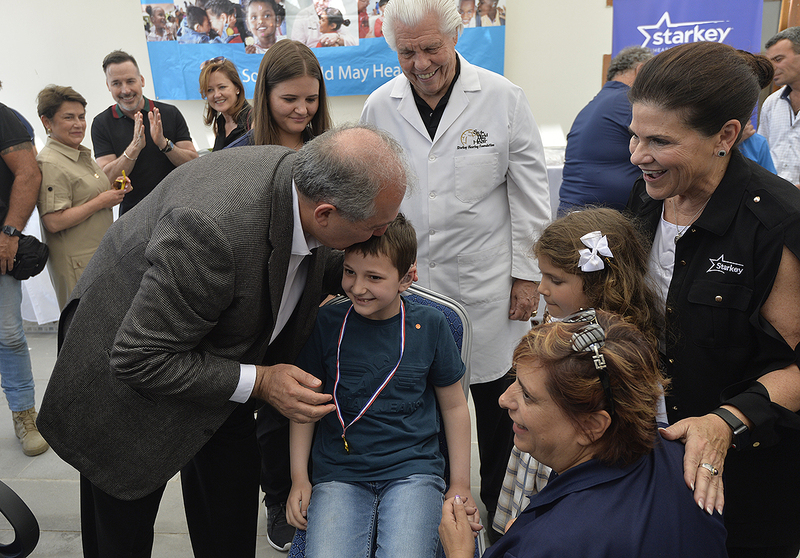 During the three-day charity event Starkey Hearing Technologies Fund will donate 2500 hearing devices to children as well as elderly patients.